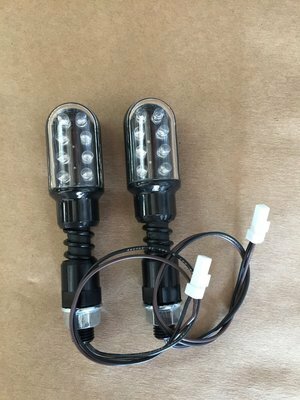 Tuff Lites KTM connectors - If you like to ride trails and are tired of replacing turn signals but still want to run something that is highly visible to a car behind you, problem solved with our product. We are certain this will be the last set of turn signals you will ever have to buy for your bike. Plug and play with your stock KTM connectors.